Bathrooms are often neglected when it comes to redecorating. They’re given a lick of cream paint, plastered with white tiles, accessorised with more neutral shades and job done. However, there’s a lot more to this basic colour palette than you might think. 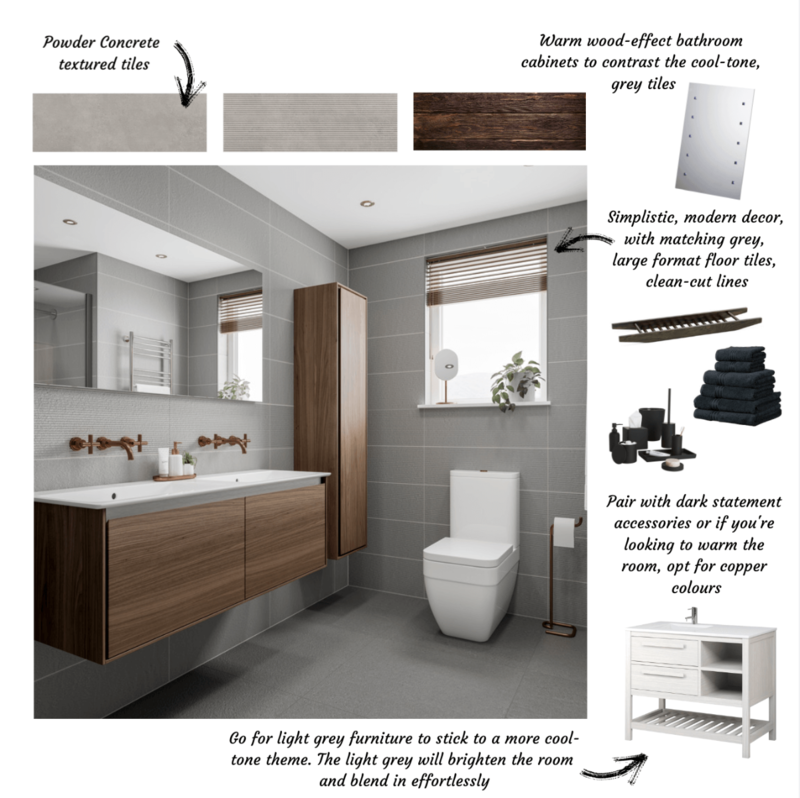 A neutral palette is great for brightening a space to bring your bathroom to life, meaning it could soon become your favourite room in the house to retreat to. Regardless of your interior taste, there are so many ways you can create a beautiful neutral backdrop in your bathroom that has longevity, regardless of changing trends. Whether your style is luxury, outdoorsy, rustic, modern, minimalistic or surfer-style, our new range of textured bathroom tiles, Powder, will be a great fit. 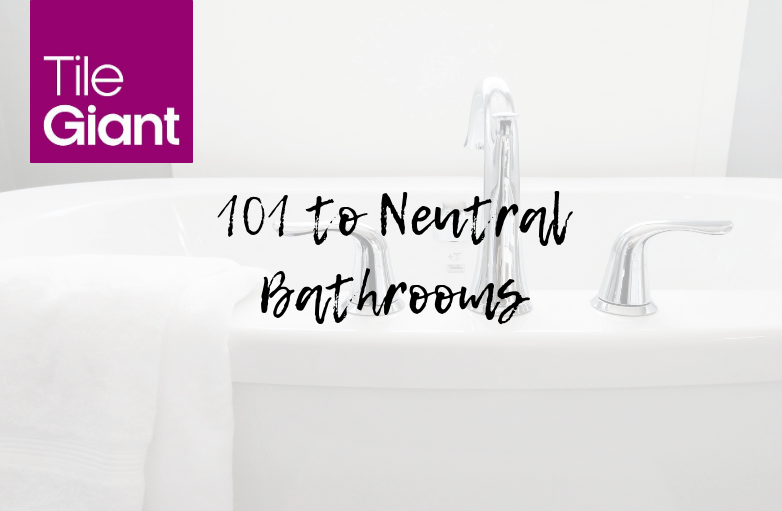 Before we get into the benefits or styling, it’s important to understand why the neutral bathroom interior is so popular. 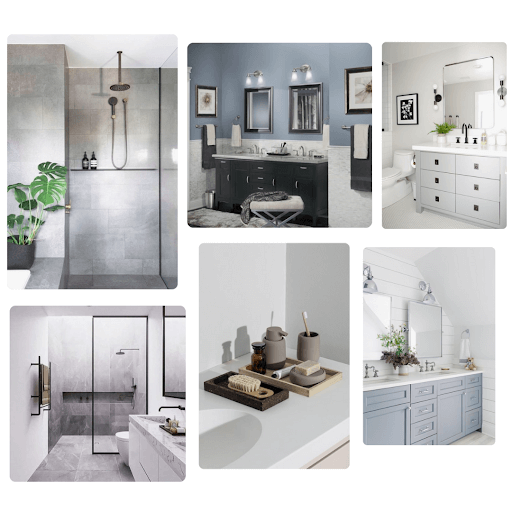 If you're familiar with some of the bathroom trends we’ve seen come and go over the years, you’ll realise that the idea of having a timeless, neutral bathroom is one of your best yet. 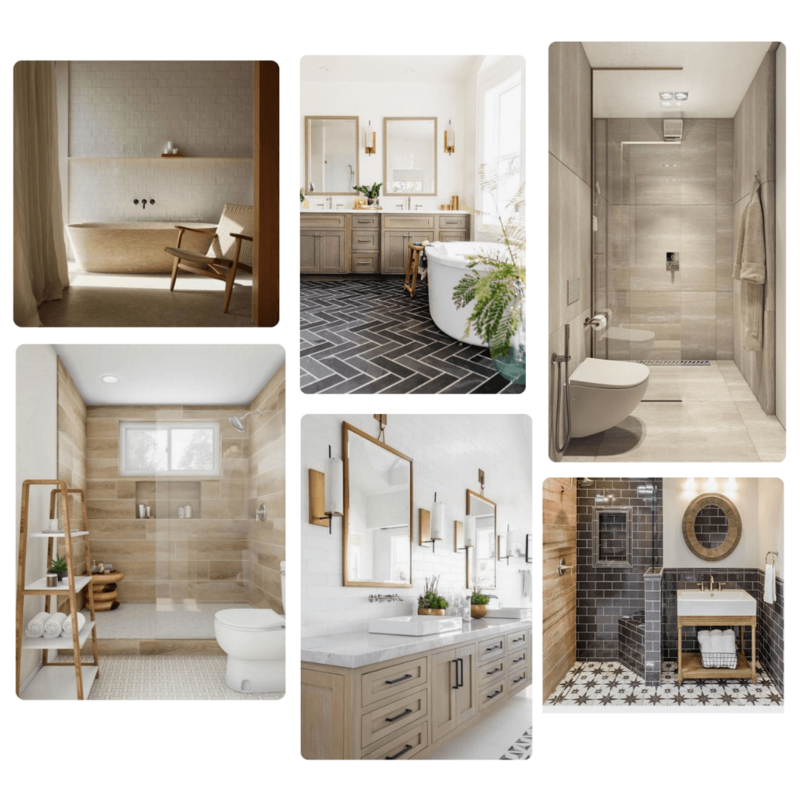 On social media site Pinterest, every day we see thousands of new neutral bathroom ideas swooping onto the scene. 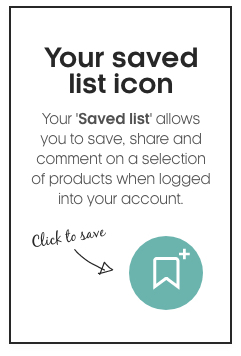 Useful link: If you’re a fan of Pinterest, browse our page to get some more interior style inspiration. Many big voices within the industry such as Homes & Gardens, Good Housekeeping and Elle Decor are continuously sharing their thoughts on must-have interior shades for your bathroom. We’re seeing a recurring theme of whites, blacks, blues, greys and browns due to their soft, neutral tones making them so versatile. 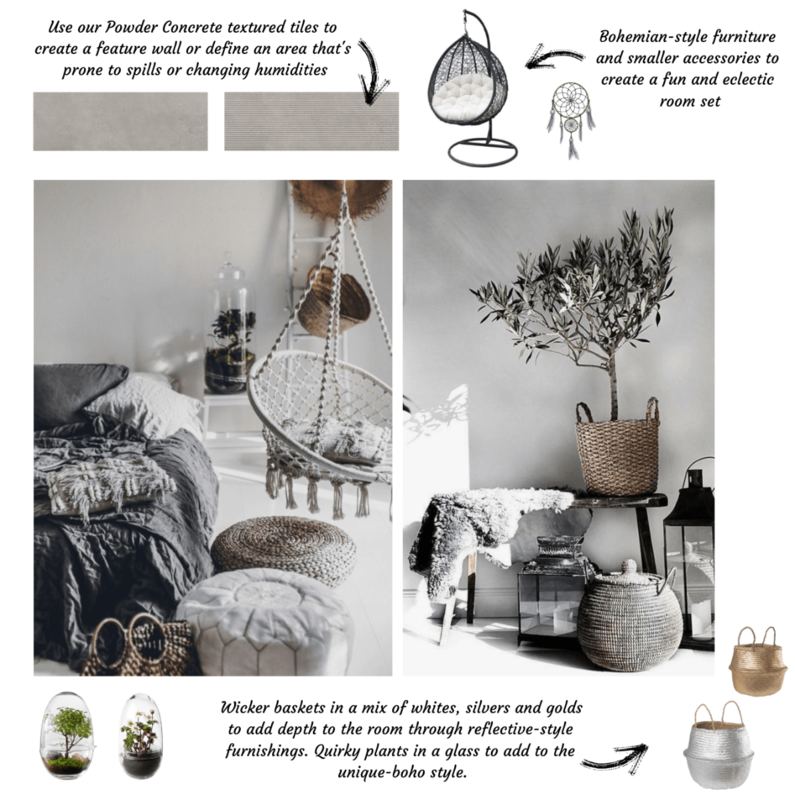 That’s why even though similar shades keep cropping up, each is styled in a unique way to fit the many evolving interior styles. These trusted figures of interior style and their regular recommendations to use neutral colours has resulted in their millions of followers incorporating these shades into their homes. Warm or Cool Tone Neutrals? Plus, customising a neutral room is super easy as you’re practically working with a blank canvas. This gives you the creative freedom to add in a splash of colour or combine different textures to add dimension to your space. Unlike some colours, neutrals can be paired with anything: geometric patterns, florals, earthy furnishings or marble, glass, wood or metallic finishes. How you add these different textures and materials to your space is what defines the style of your bathroom. We’ll explore how to style our new range of textured tiles to create a neutral bathroom regardless of your interior taste. 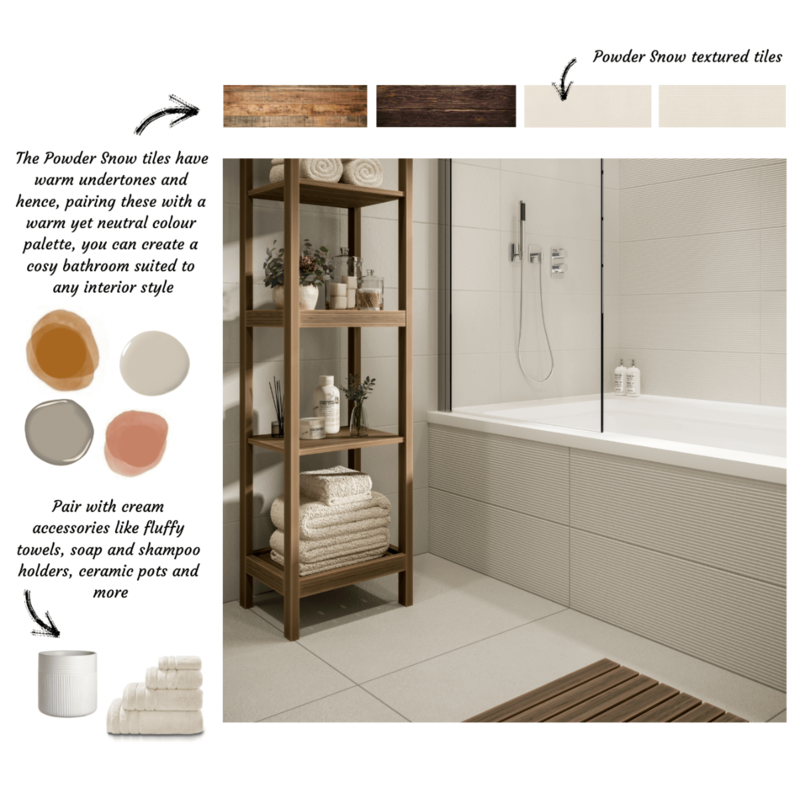 We’ve recently launched a new range of textured bathroom tiles under the name Powder. They feature two main colours: a cool-toned grey and a warm-toned beige. Each colour selection has two tile designs: a plain, stone-effect tile and the second, a raised tile with linear details. These can be used to help extend a bathroom space either vertically or horizontally, depending on how they’ve been laid. The grey Powder tiles are known by the shade name “Concrete” due to their stone-effect pattern. They’re the perfect textured tile to add to your bathroom to create a modern, industrial feel - something that top interior designers are loving. By laying these tiles horizontally, you can visually expand a small bathroom space, giving it a bigger look and feel. Opt for the decorative Powder tiles, which feature the linear details, on walls that you want to exaggerate the size of the space. To really tap into the industrial feel, pair the Powder tiles with large format floor tiles. Use grout that’s a similar colour to the tile as this will limit the chances of it disrupting the eye, making your floor feel even bigger. Style Powder tiles with rectangular bathroom cabinets, striped window blinds and ladder-style radiators to keep the walls clutter free and save space. This will ensure the room feels modern and minimalistic. To show you how versatile these Concrete Powder tiles are, we’ve dressed up a Bohemian style room set. By altering the furnishings in the room, you can completely transform what was a modern living space into a cosy yet neutral, nature-inspired bathroom. Plus, as these tiles are suitable for use in other areas around the house, they’d look great in a conservatory, paired with blankets, hammock-style seating and wicker baskets filled with your favourite magazines or most-used gadgets. 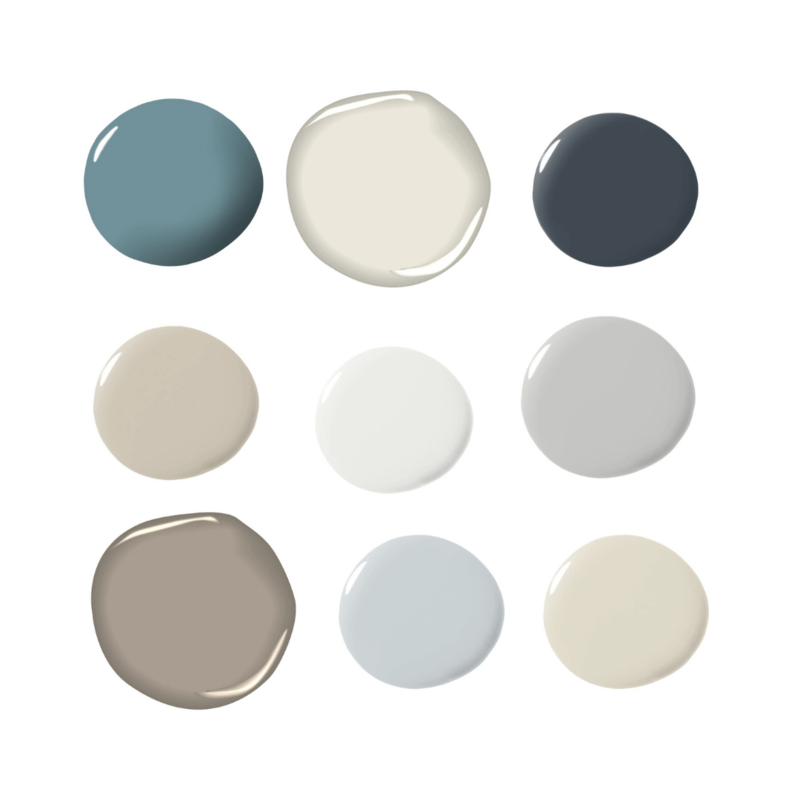 The second colour choice is a soft beige under the shade name, Snow. These are great for warming up your bathroom which is often seen as the perfect solution to create a cosy space whilst ensuring you have a blank canvas to work from. Choose wooden furniture instead of metal, plastic or ceramic furnishings to bring a natural element to your living space and add to the cosy, warm feel. Mix your shades of wood from deep, brunette browns to vibrant, red-orange browns. You can then contrast these with silver taps and a silver shower head to avoid overpowering the room with warm tones. If you prefer to steer away from the modern look of a bathroom, we recommend adding lots of wooden furnishings to create a more rustic feel. When paired with our Powder Snow tiles, you can create a functional bathroom space that’s easy to clean yet super cosy and oozes depth and dimension. Bring in various types of wood like wicker baskets, deep wooden shelving and light oak beams and pair with black, “metal” accessories, marble-effect sink tops and pebble-effect tiles in the shower cubicle. Having each aspect of the bathroom created from natural materials like wood or metal (or a lookalike), you can really capture the rustic style. If you’d like to add a pop of colour to your bathroom, opt for metallic shades like copper, gold or bronze to stay intact with the rustic interior, whilst adding an extra decorative element to enhance the living space. 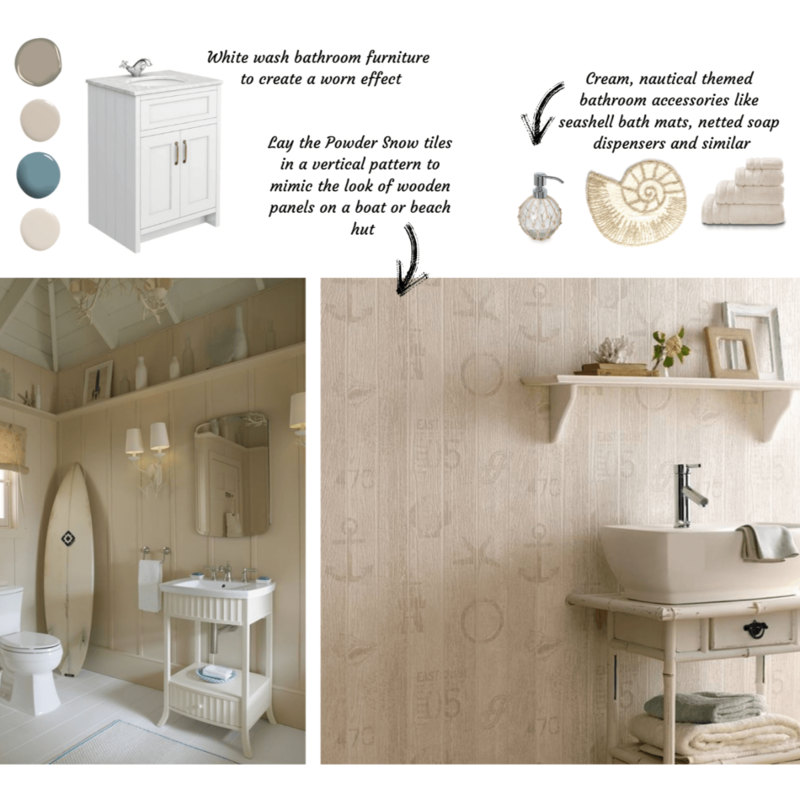 The final neutral bathroom idea that we’re discussing is the nautical theme. This can be created using either the Powder Snow or Powder Concrete tiles depending on whether you prefer a warm-tone look or cool-tone look. The line detailing on the Powder tiles help them to mimic the look of wooden panels without being confined to the wood-effect look which homeowners may want to change over time. Instead, you have the perfect and most importantly, a practical solution to create this effect, without the tiles becoming outdated or needing replacing if you decide to change your interior theme. Laying these tiles vertically can help to accentuate the height of the wall which is great for smaller houses like a bungalow or similar. Use them to create a feature wall and then pair with white, wood-effect flooring to reinforce the boat-like feel. We suggest opting for white-wash furniture to give the room a vintage, worn-look without having the disadvantages of vintage furniture which can be susceptible to changing humidities associated with a bathroom. Add in accessories that are associated with the sea, for example, anchor-style clothing hooks, seashell style bath mats, netted soap dispensers and faux starfish instead of potpourri, scattered across window ledges for decoration. 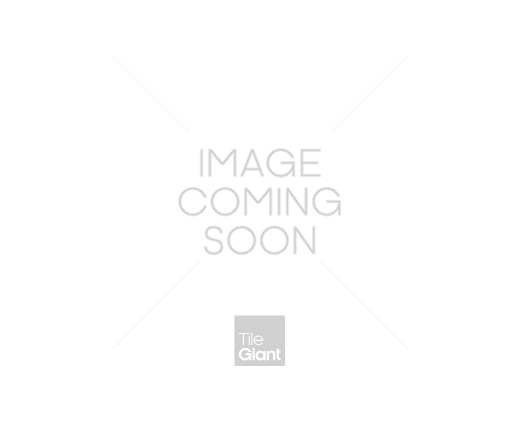 We offer extremely competitive pricing on our entire range of tiles and likewise, our Powder, bathroom textured tiles are both competitive for retail and trade. Our stock is widely available in our 90+ showrooms which are open to browse at your leisure. Alternatively, if you’d prefer to shop our tiles online, we can supply you with up to 3 free cut samples delivered for free. Not only that but Tile Giant also offer a buyback service on any unused tiles, meaning you get great value for money.